Although the temples are smaller and less incredible than those of Chichen Itza, Palenque has something that that site doesn't. There's something in the way that these constructions are nestled into the jungle, revealed temple by temple through shrouds of mist. Pacal was a child-king of the Maya who ruled for 68 years. His body was entombed in the Temple of the Inscriptions at the end of the 6th century and was not uncovered until as recently as 1952! The coffin was opened only after 4 years of digging out a stairwell-full of rubble. 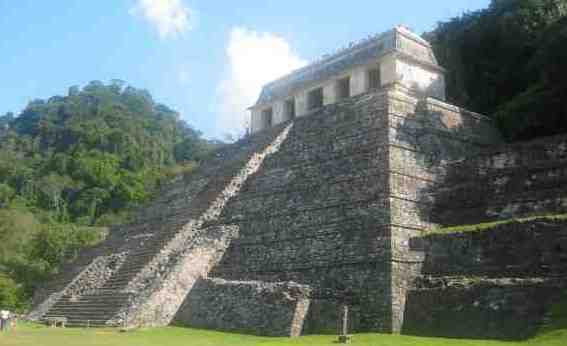 Pacal and his son were responsible for a lot of the building projects in Palenque.